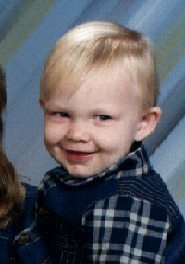 Dominic was born 21 November, 1995 at the US Naval Hospital in Bremerton, Washington to Everett and Kelly (Getchell) Hanmore. Dom loves to play the "puter" and his favorite CD is the Big Bird where he can color, draw and make stickers. He likes motorcycles, cars and big trucks and loves to work in the yard with Dad or Grandpa. He is always trying to "fix things" with his tools whether they are broken or not and he will definitely take them apart so he can fix them. He likes to watch NASCAR, Monster Trucks and basketball games. He is a very loveable little boy but he also has that "look" of mischief behind those big eyes. 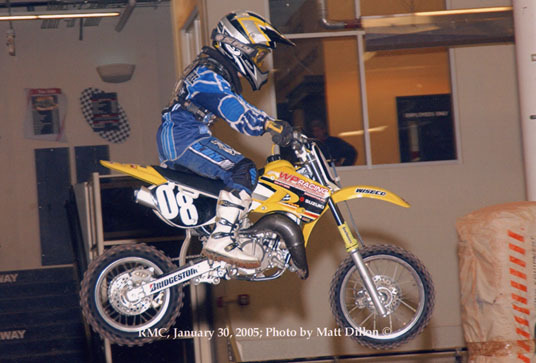 Dominic in 2004. 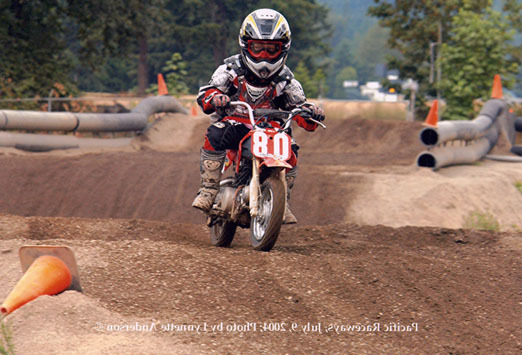 Look how he has grown - and he no longer just looks at motorcycles, he races them.